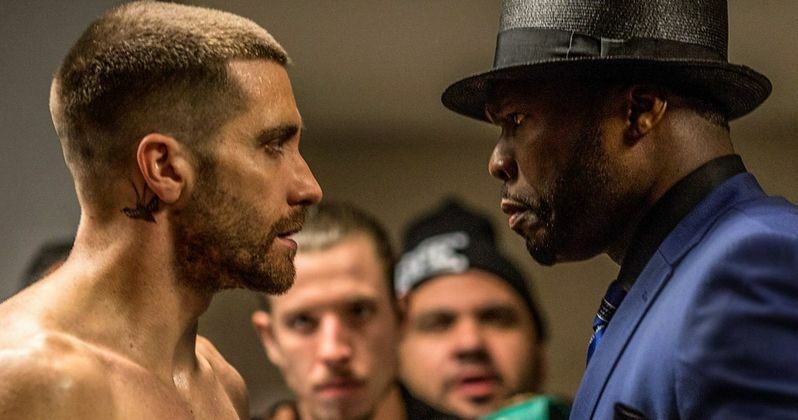 Southpaw is one of the many Oscar contenders being released this fall, and buzz is high for Jake Gyllenhaal, who has completely transformed himself into a professional boxer, troubled by life. We have the second trailer released by The Weinstein Company, and Wanda Pictures, which puts some of Jake Gyllenhaal's physical talents on display. It also offers a showcase for co-star 50 Cent to shine in an unexpected, motivational role. From director Antoine Fuqua and writers Kurt Sutter and Richard Wenk comes Southpaw. The hard hitting drama tells the story of Billy "The Great" Hope, Junior Middleweight Boxing Champion of the World. When tragedy strikes and he loses it all, Billy enters the battle of his life as he struggles to become a contender once again and win back those he loves.